I mentioned I've been in a bit of a quilting funk lately. I've been ignoring the fact I made a public declaration to have 6 quilts finished before the end of the year. My uber cool quilting guru is going to do a custom job on the Dresden quilt and informed me last week that she can't do that until January so the number has been down graded to 5. At this point it could be one and I'd still be doubtful of a finish! Sadly my quilting mojo seems to have been lost under a pile of quick to finish projects over the last month. And the trend continued this week. I keep telling myself I'll get those quilts. Plenty of time . 45 days to finish 5 quilts is eminently do-able. Right? Stop rolling round on the floor laughing please - it hurts my feelings . True blog buddies would buy into my fantasy and pretend that my dreams are possible. I made a sunglasses case for my friend , Nat. By Saturday I was sick of my own procrastination so I loudly announced to Mr. P I was going to work on the Merry Go Round quilt. And then a friend called with her own quilting emergency so my afternoon was taken up with helping her sort that out. Epic fail on getting any MGR done! Sunday dawned bringing new resolve. I unplugged the phone, turned my front door "Welcome" sign to "Go Away " and planned to get busy. You know those moments we all have where you think you calculated your yardage wrong and you don't have enough to get what you need out of what you have? I had a moment like that making the final 7 blocks for this quilt. Thankfully as so often happens- since I am a maths idiot - I was wrong. Finished! I was hearing trumpets and angels at this point. Until I realised all those blocks had to be sewn into 14 individual rows . But I slogged on and got 10 of them done. The challenge for this week will be to sew them into a quilt top where the seams actually match up. Pop on over to Kate's for a look at other 15 minutes of fame. The MGR quilt is going to be absolutely gorgeous! I love it. and so much other goodness. I am in awe of you being able to do so many different things at the same time. and yes, you can get five quilts done in 45 days. that's nine days for each quilt. You know, I tend to use the same superlatives all the time to say I really love something, but I really do love the way that MGR quilt is looking. I can taste the rainbow, to steal a phrase from Skittles commercials, and it is mouth-wateringly delicious! It's amazing what you get done when you're in a quilting funk. Don't be so hard on yourself. Look at all those finishes the bottom quilt looks fantastic. So bright and colorful. Oh I need a panadol and a good lie down after all that..I am exhausted just reading about it. We better watch out when your Mojo returns. You got heaps done and your quilt will be stunning and so is your bag. I hope you wnet to work for a rest. LOL! You an do it - with the help of the Doctor's Tardis! Plenty of room in there to hide a galacti sized stash too! Wow. That is a lot more than I got done last week. Merry Go round is amzing - such strong colours and shapes. Really stand out. String blocks are great fun aren't they, so each to knock up and no pressure on them having to be perfect. Ooh, prettiness- you've inspired me to make a merry go round quilt - love the colors! 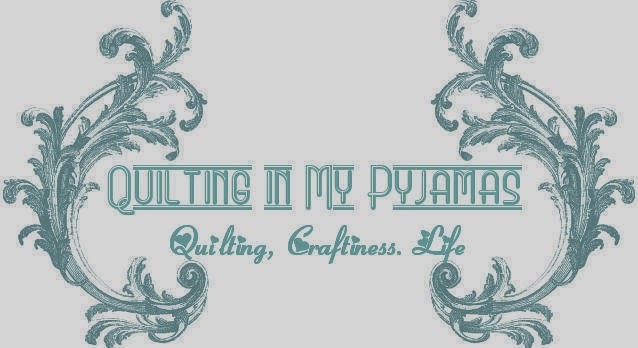 I say anything that involves sewing is good - don't beat yourself up! I LOVE the MGR quilt and am anxiously waiting to see the final thing! The colors are awesome! This is going to be a stunner, for sure! HA! If I could, I'd beam down to Aussie land and kick your heinie. Here you got me all ready to feel sorry for you being in a slump and then show picture after picture of accomplishments! Oooh, I am so in love with your beautiful bright quilt. Congratulations with tackling the procrastination and getting it looking sooo good. Looks like you had a busy and productive week. Congrats. All the little bits count - you have some finishes which is always good for motivation to work on the bigger things. Love those colours in MGR - please keep showing this. Have a wonderful weekend in the sewing room. Love the MGR quilt, it's so bright. Looks like you got lots done last week. Hope this week was as productive. Love the handbag, the hexies and the string blocks. Nice work.